Isn't this the cutest sandwich? For all of you who are now enjoying the warm weather and the beach, I have decided to prepare a wish list featuring the top summer dresses trends which you can shop here at Rosegal. Looking at many images of my favourite bloggers on Instagram I could identify four main summer trends in regards to dresses. 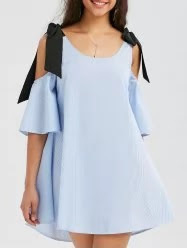 There is nothing like finding your perfect dress to wear on those days when it's super hot but you still want to look great! 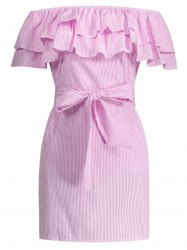 A dress is a great way to stay fresh and also look chic and feminine. They are so easy to style that you can just add a pair of cool sandals, a hat and your favourite bag and you're good to go. Plus, there are so many different options, styles and prints that you can always achieve the look you want with a dress. 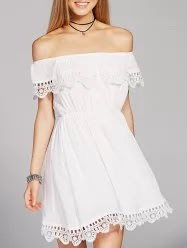 So, going back to the main trends for this summer, I'm going to start with the one I think it's the biggest right now and, to me, that is, the off the shoulder/ cold shoulder trend. 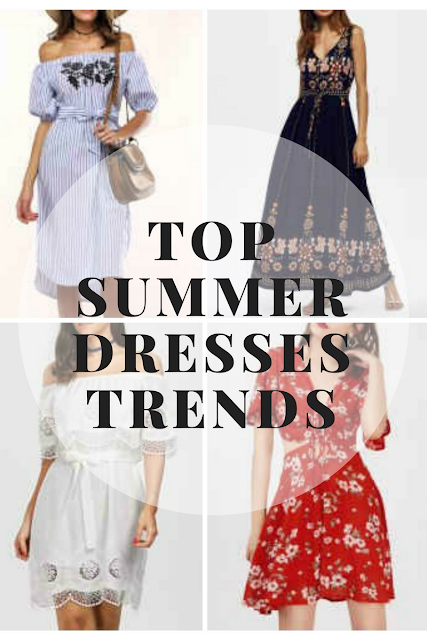 This trend is so feminine, glamorous and perfect for the summer, I'm really looking forward to the warmer days so that I can wear one of these gorgeous dresses. 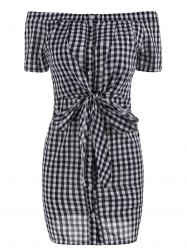 The second summer trend is definitely Gingham pattern. 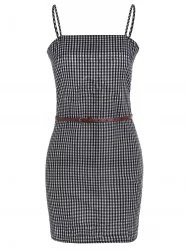 I have seen so many bloggers wearing tops, skirts and dresses with this pattern that I'm absolutely obsessed with it. I'm not exactly sure what it is but there is something about this pattern that makes me feel the summer vibes and I think it looks super chic and trendy, especially in black and white. Another classic trend for summer is floral. There is nothing like going out on a summer day wearing a beautiful floral dress. Also, it's a great way to wear something very colourful and fun no matter if you are on the beach or in the city, it will always look good! Last but not the least, I have to include the maxi dresses. They are one of your summer best friends for sure! They are super fresh and comfortable to wear but also they help you to look stylish and put together so easily. I love especially those maxi dresses with boho vibes, it's like a match made in heaven for summer clothing. 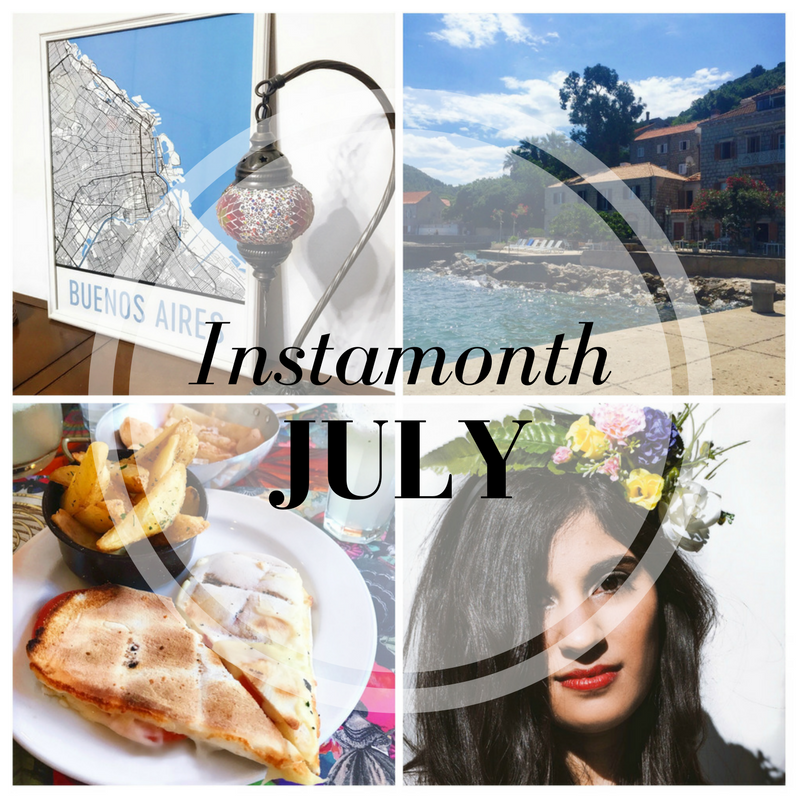 Hope you like this wish list and please let me know what are your favourite summer trends. I would love to know! 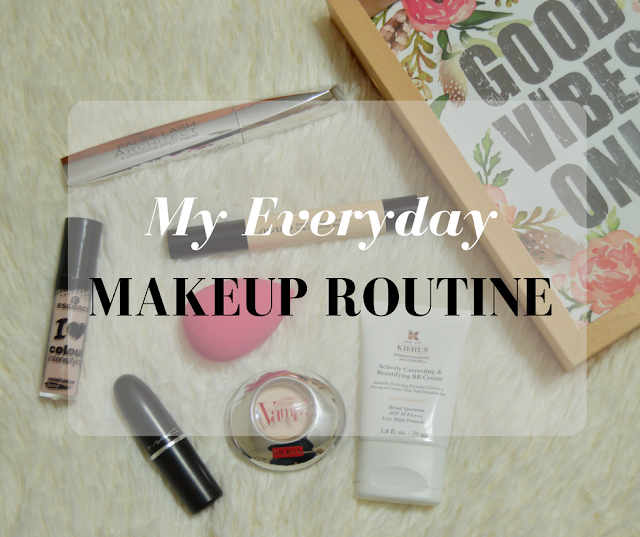 I think it's been a while since I have posted my everyday make up routine and I just realised that I have changed many of the products that I was using before during this year. That's why I thought it was going to be a great idea to do an updated post to show you my new everyday make up routine with all the new products I have incorporated into it. First of all, I would like to say that for my everyday makeup I like to keep it very natural and basic. This is a very simple routine that only takes me around five minutes to do and it helps me to look better and more put together but it's a very subtle type of makeup. So, if you like something that is more glamorous maybe you can use this as the base for your make up routine and add more eyeshadows, or an eyeliner to make this makeup look more interesting. I also do that when I have some kind of event and I want my makeup to be more visible but for my normal life, this would be enough. First, in regards to the foundation, I don't normally wear any for my everyday routine because, as I said, I like my makeup to be super natural. That's why I tend to wear a BB Cream because they will keep your skin hydrated, even your skin tone and add a little bit of color without covering that much. I am currently wearing the Actively Correcting & Beautifying BB Cream from Kiehl's in the shade Natural and I'm loving this product. 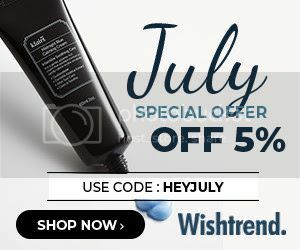 It's very light and moisturizing and I love that it has Vitamin C and SPF 50! This particular shade it's a little bit lighter for my skin tone but as it doesn't cover that much you can't really see the difference. Also if my skin doesn't look very good one day and I have many imperfections, I would choose to wear a foundation because, as I said, this BB Cream doesn't cover a lot. Then I would apply my concealer. Right now I'm using the Sheer Eye Zone Corrector by Shiseido in the shade 104 Natural Ochre. I have never tried Shiseido products before but I'm really happy I got this concealer because it has a very nice color that matches perfectly with my skin tone and it does cover pretty well the dark zone under my eyes. Another thing I love about this product is that it comes with a very practical brush which makes it super easy to apply the concealer. 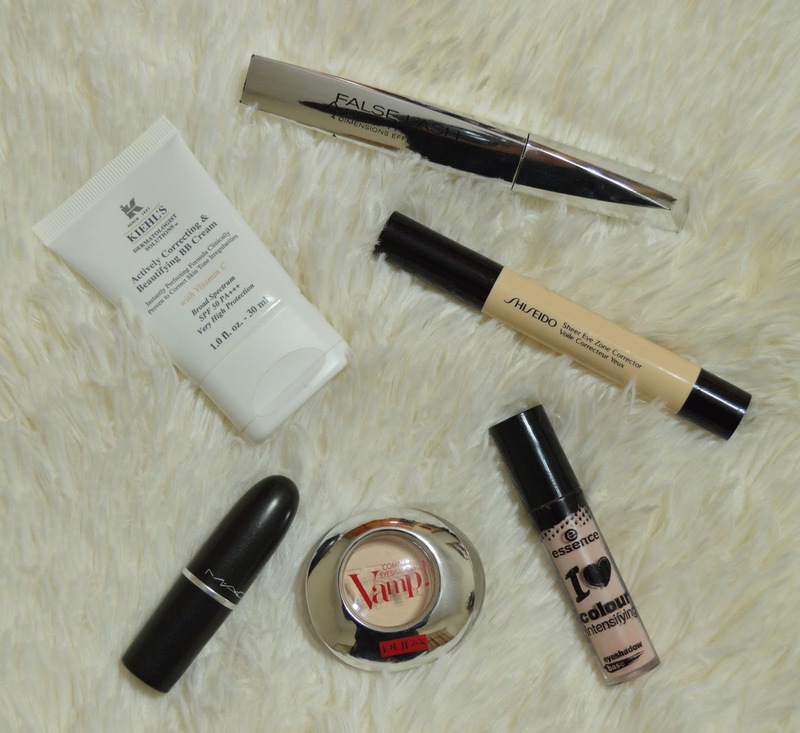 The next step is something that I just recently added to my routine and that is the eye primer. I always wanted to try an eye primer to see how it works and this year when I was in Croatia, I bought the I love Colour Intensifying Eyeshadow base by Essence because I can't get this brand here in Argentina and I'm pretty satisfied with it. I notice that it helps my eyeshadow to stay in place throughout the day and also I feel like the eyeshadow colour looks better with this product. For the eyeshadow, I normally like to wear a colour that will help me to illuminate my eyes, so I always look for some champagne, light beige kind of colour and I'm currently using the Vamp! Compact Eyeshadow from Pupa in the shade 101 Vanilla. I think this tone is just perfect, it looks so natural and bright and another thing I love about it is that it's matte because I don't like wearing shimmery eyeshadows for a normal day. After that, I apply the mascara. At the moment, I'm using the False Lash Architect by L'Oréal and I'm in love with it. I was using another mascara from this brand, the Volume Million Lashes Excess, which was also pretty good by I think the False Lash Architect has a better brush, it really separates my lashes and makes them look longer. Last but not the least I will apply something to my lips. For a normal day, I may just go with a lip balm but if I want my makeup to look better I would apply this Mac Matte lipstick in the shade Velvet Teddy. This color is so nice and delicate that I really love to wear it, even though I don't normally wear anything on the lips. It really complements the nice and natural look. I couldn't be more excited to share this post with you because it was a long time since I have received this gorgeous map of Buenos Aires from the lovely people at Modern Map Art and I really wanted to show you how cool this looks like but the truth is that it took me a while to find the perfect frame for it. The printed map is so beautiful that I couldn't just put it on any frame, that is the reason why the print was sitting in my room waiting until I found it and I'm so happy I took my time on that search because now it looks even more beautiful! Anyway, going back to the print, it was sent to me by the people from Modern Map Art, they are a brand who makes extremely cool map designs in posters to decorate your home or office, pillows for your bed and even phone cases! This is without a doubt a great gift idea for any traveller friend you may have (or even yourself) because you can choose from many different cities in the world, and you can even pick your favourite country or your favourite mountain map, perfect for the ski lovers as well! Also, you can pick between different colour options and sizes for your printed map so it matches and fits perfectly with the wall you would like to decorate. It's a great and very original idea to have a nice memory at home of your favourite city, or your hometown, the country you visited when you travelled abroad for the first time but in a way that looks very chic, trendy and sophisticated. In my case, I received the map of the city I live in, Buenos Aires, and I picked the white version because I think the lighter version of the map matches better with my home office space, where I decided to put it. Plus, on the white version, the river was painted in blue and to me, it looks nicer. Anyway, the black version of the map also looks very elegant and chic, so it was a hard decision to make. All of these details, such as the city or country you would like to choose, the colour and the size are very easy to define on their website. Everything is very clearly specified for each product and the shopping experience is very enjoyable. I would only point out for those living outside of US that the sizes are expressed in inches instead of centimetres, so keep that in mind when ordering your print. Another great aspect about shopping in Modern Map Art is that the delivery of the product was extremely fast! I was totally surprised by how fast my print arrived home and of course, it was in perfect conditions and it looks exactly as it does on the website. *Modern Map Art sent me this printed map for me to review. However, all opinions are mine. Hace unas semanas fui invitada a la producción de fotos de Save the Date para conocer y probar sus productos y, de paso tuve la oportunidad de sentirme una modelo por unas horas! Save the Date es un nuevo concepto en cotillón de lujo para fiestas y, en especial, para despedidas de soltera. La misión de la marca es que cada novia pueda festejar y vivir a pleno ese momento con sus amigas acorde a su personalidad y viéndose más linda que nunca! Para eso, crearon con mucho amor y dedicación sus packs especiales para ponerle color a la despedida de soltera, con tocados hermosos para la novia y sus amigas, además de distintos elementos para decorar el lugar donde vayan a festejar, lo cual me parece súper práctico para olvidarse del tema decoración, ya que con el pack se resuelve todo junto! Como si todo esto fuera poco, cuentan con tres estilos diferentes para elegir: una línea más Romántica con coronas de flores muy hermosas y delicadas, ideal para las novias más refinadas. 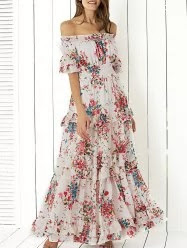 También cuentan con una línea Trópical con colores mucho más vibrantes y flores más llamativas para aquellas novias más divertidas y, por último una linea Boho, con detalles en cuero y con plumas, que realmente me pareció ideal para llevar a un festival además de ser una propuesta súper divertida y original para una despedida de soltera. Como les contaba, las chicas de Save the Date me invitaron para que pueda conocer más sobre la marca, sus productos y lo mejor de todo es que me pude probar sus coronas y sacarme las fotos que pueden ver acá! La verdad que me encantó la propuesta, las coronas tienen una calidad excelente, las flores son tan hermosas y de unos colores increíbles que parecen naturales. Además, las combinaciones y los diseños de los tocados son muy modernos, prolijos y me parecieron muy a tono con las últimas tendencias. A pesar de que, en este momento, no tenga ninguna despedida de soltera en el futuro cercano, me parece que este tipo de coronas son ideales para llevar a algún festival (tienen una onda muy Coachella, no? ), recital o alguna fiesta. Me parece que no hace falta esperar a tener una ocasión tan especial como un casamiento para poder lucir los tocados de Save the Date! Si tienen ganas de mirar más les recomiendo que visiten su Instagram, donde van a encontrar todos los modelos. Espero que les gusten!! Muchas gracias Save the Date por permitirme conocer y probarme sus hermosas coronas!!! A few weeks ago, I was invited to a photo shoot by Save the Date to get to know and try their products and also, I had the chance to feel like a model for a couple of hours! 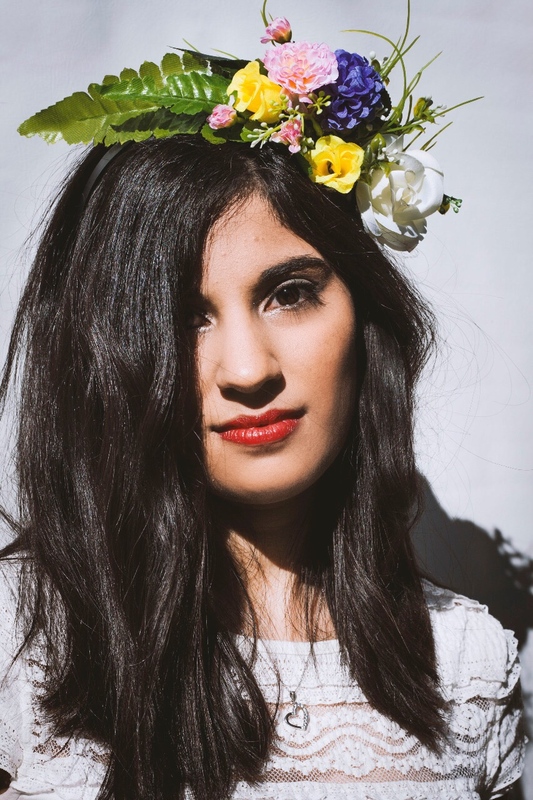 Save the Date is a new concept of hair pieces and flower crowns for Bachelorette parties. The brand's mission is to help the bride to be to enjoy the most of her Bachelorette party looking at her best with her friends and always in accordance to her personality. They achieve this by creating with a lot of love and dedication a special kit which includes the most stunning hair pieces and flower crowns, as well as different elements to decorate the venue where the celebration will take place. Not only all of the items are beautiful but also the idea of the kit is very practical! in addition, they have designed three different styles that you can choose: the Romantic collection, which includes the most beautiful and delicate flower crowns, perfect for that romantic and refined bride. Then, they have a Tropical collection, which has brighter colours and more exotic flowers and it's perfect for a more casual and fun bride and, last but not the least, they have a Boho line that includes some amazing hair pieces with feather and leather details, which I think would look perfect for a summer festival and it's also a great and original idea for a Bachelorette party. As I mentioned before, the girls from Save the Date invited me to their photo shoot so that I could learn more about their brand and their products and the best thing of all was that I was able to try them on and do the pictures that you can see here! I really fell in love with their concept because all of the crowns and hair pieces have an amazing quality, all of the flowers are beautiful and have an incredible colour that looks like they are natural. Also, all their designs are so modern, polished and trendy. Even though, I don't really have any Bachelorette party in the near future, I think that these kind of hair pieces are perfect to wear to a summer festival (they do have a Coachella vibe, right? ), as I said before, and also to a concert or to a party. I really feel like there is no need to wait for a special occasion, such as a wedding, to wear one of the pieces from Save the Date. If you want to see more of their designs, I strongly recommend checking out their Instagram! Hope you like them! Thanks to Save the Date for allowing me to get to know and try your beautiful products!! !